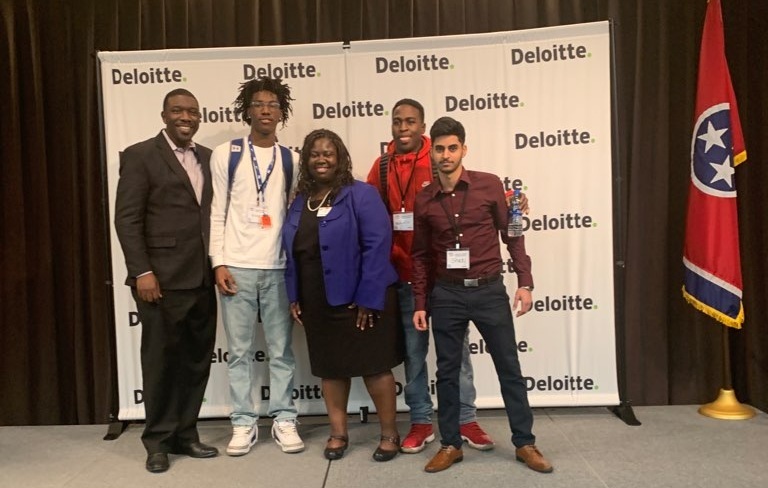 The Bridges to Business Conference was co-hosted by Deloitte and the Tennessee Credit Union Academy of Business at Antioch High School on January 18. Deloitte hosts the conference as an extension of its commitment to the Academies of Nashville. The event gave Business, Marketing and IT students a business conference experience. The students register, attending an opening session, have a keynote speaker and attend workshops. The conference focuses on helping students understand the business community, develop soft skills and prepare for college/career. This experiential learning opportunity allowed over 200 students to learn and engage with students from across our district. Deloitte, a longtime partner of the Academies, provides industry-leading audit, consulting, tax and advisory services to many of the world’s most admired brands, including 80 percent of the Fortune 500.